Where do I use my Natural History Museum Shop voucher code? The Natural History Museum is a publicly funded institution within the UK; famous for its exhibitions of dinosaur skeletons and ornate architecture - around 80 million items constitute the five main collections at the museum: botany, entomology, mineralogy, palaeontology and zoology. The museum’s shop is the perfect one-stop destination for all your gifting needs or a bit of self-love. You’ll find the variety is nothing short of spectacular, ranging from the classic museum staples, all the way to prints, jewellery, fashion and more! You’ll be glad to know when you shop with the Natural History Museum, there’s more to feel good about than just finding the perfect quirky gift; purchases made at the shop go towards supporting the museum’s work and its pursuits across many different fields. The museum doesn’t charge admission fees upon entry, therefore the institution relies heavily on the generosity of its visitors and benefactors. Funds raised help to contribute towards solar system and geology research, as well the effort to preserve biodiversity and innovate sustainability. If you like the Natural History Museum’s online shop then you’ll love their fantastic sale - act fast and don’t miss out, take advantage of discounts ranging up to as high as 50% off RRP. Don’t worry, the sale includes all of the very same items you’d find at the regular store, just at staggeringly low prices; so if you’re looking for the ideal thrifty gift to surprise a friend or family member, consider giving the shop sale a look here. The generously discounted rates can be found across a range of items: jewellery, clothing, toys, books and prints, plus much more. The Natural History Museum loves rewarding loyalty, as a customer this means there are many benefits for you to take advantage of. If you’ve recently purchased an item from the online shop, simply leave a review with the purchasing account and you’ll be entered into the marvellous monthly prize draw! If you’re interested in hearing more about news, offers, discounts and more, subscribe to the mailing list to be first in line for any updates - moreover, if you subscribe now you’ll be in for the chance of winning £100 to spend at the online shop. Natural History Museum members are rewarded with a 20% discount whenever they shop at the online store, in addition to a plethora of other membership benefits, which you can check out here. What is the Natural History Museum’s contact number? What is the contact address for the Natural History Museum? 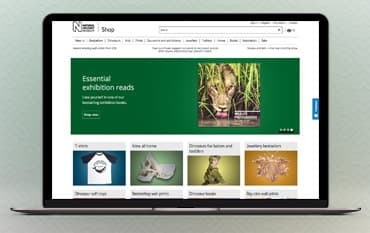 Online shop, The Natural History Museum, Cromwell Road, London SW7 5BD. The Natural History Museum, one of the most revered and sought out museums in the United Kingdom; established in 1881, comprised of around 80 million items and drawing in some 4.7 million visitors annually. The museum is renowned for its vast array of exhibits and subject matter, in addition to hosting events, galleries and functions within the premises. Have you visited the museum in the past, or are interested? The Natural History Museum store may be of value to you; here you can nab the ultimate curated present that got away or simply have a peruse amongst what’s on offer. There are plenty of perfect gifts, gadgets and trinkets to lighten up the lives of your friends and family - all of which elicit themes, ideas and designs from the exhibits and displays of the museum itself. Ensure you shop with a Natural History Museum discount code to get the most out of your money!